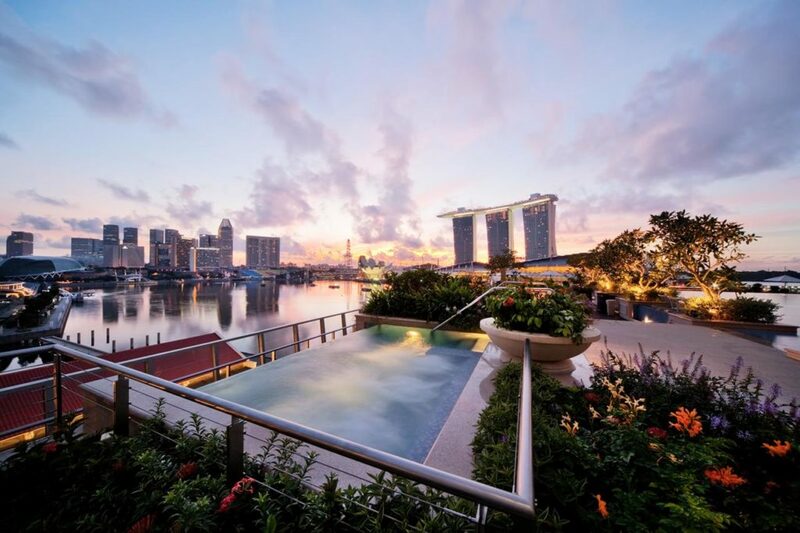 From cosmopolitan hotels in the heart of the city to tropical sanctuaries – Singapore has no lack of stunning luxury hotels that will be the beginning of your ultimate urban adventure! 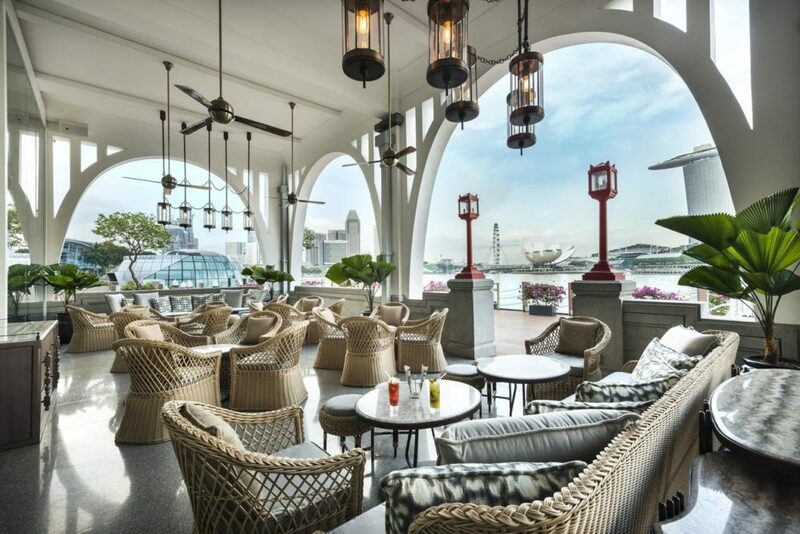 The Asia Collective has curated a guide to the Best Luxury Hotels in Singapore, with something for everyone from the cultural buffs to the fun-loving explorers. The Fullerton Bay Hotel invites you to luxuriate in style at their 100-room waterfront jewel, set against the iconic city skyline. 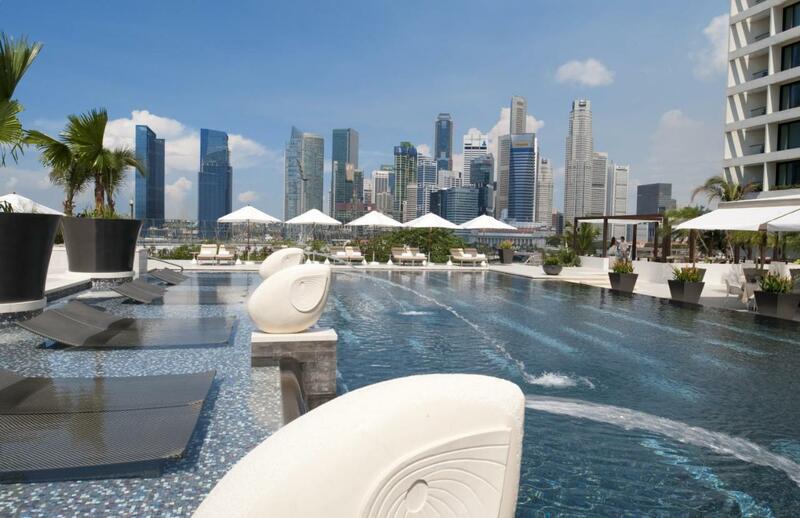 Their spacious rooms offer unparalleled views of the city, or the Marina Bay waterfront. 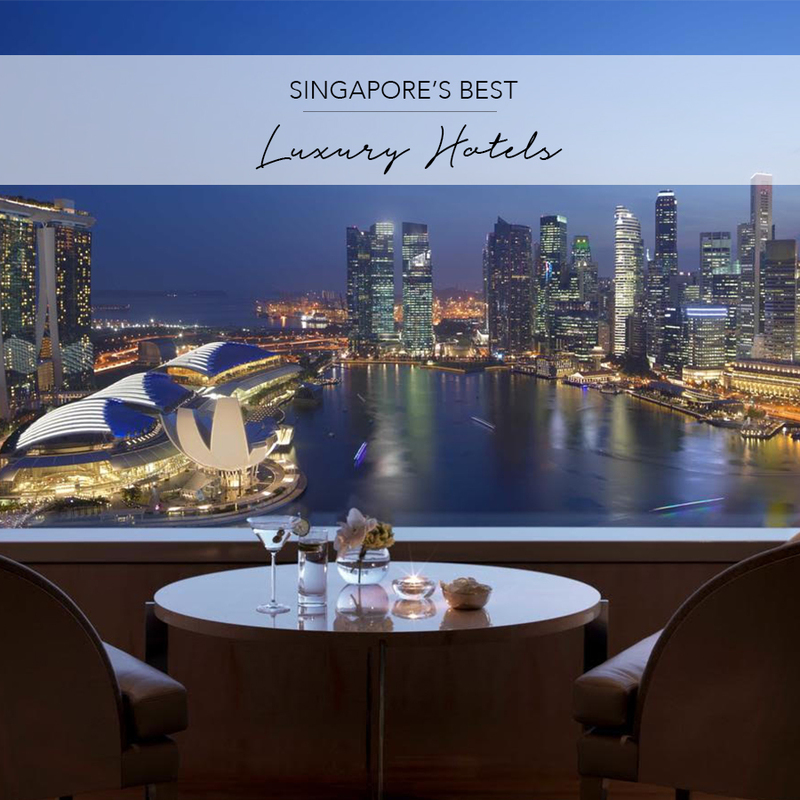 You can easily while away your day in this Singapore luxury hotel – by taking a relaxing swim in the rooftop pool, working out at the fitness centre, or watching the sunset at their stylish rooftop Lantern bar! For the urban adventurers, the hotel is only minutes away from spectacular attractions including Gardens by the Bay and the Asian Civilisations Museum. Enjoy free daytime shuttle services to malls in Orchard Road for a full day of shopping! Book a stay to discover the complete luxury city experience for you to soak in vibrant Singapore. Prices for Fullerton Bay Hotel, one of the best luxury hotels in Singapore, start at US$433 per night. Click for best available prices. Located just minutes from the hustle and bustle of Orchard Road is Shangri-La Hotel’s tropical sanctuary. Experience the hotel’s leading Asian hospitality as you reside in one of its three distinct wings, housing 792 guestrooms and suites! 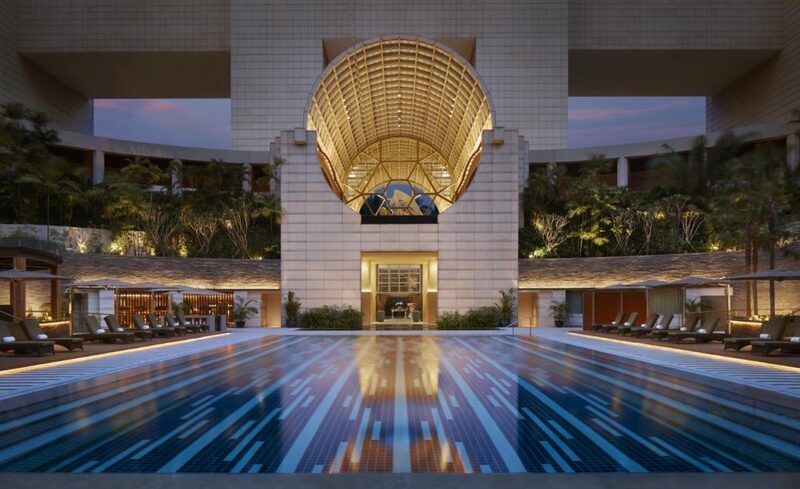 Discover 11 dining outlets and facilities like Chi, the Spa, an expansive outdoor pool and a 24-hour Health Club. Nature lovers are invited to take a walk through the hotel’s lush gardens, a 15-acre showpiece of plant life. Be sure to visit The Orchid, a seven-metre tall open-air greenhouse which showcases the beauty of tropical orchids, the national flower and forefront of Singapore’s proud natural heritage! Families can get comfortable in the hotel’s dedicated family floor while children can engage in interactive play at the 1,872 square-metre kids club: Buds by Shangri-La. Prices for Shangri-La Singapore, one of the best luxury hotels in Singapore, start at US$255 per night. Click for best available price. 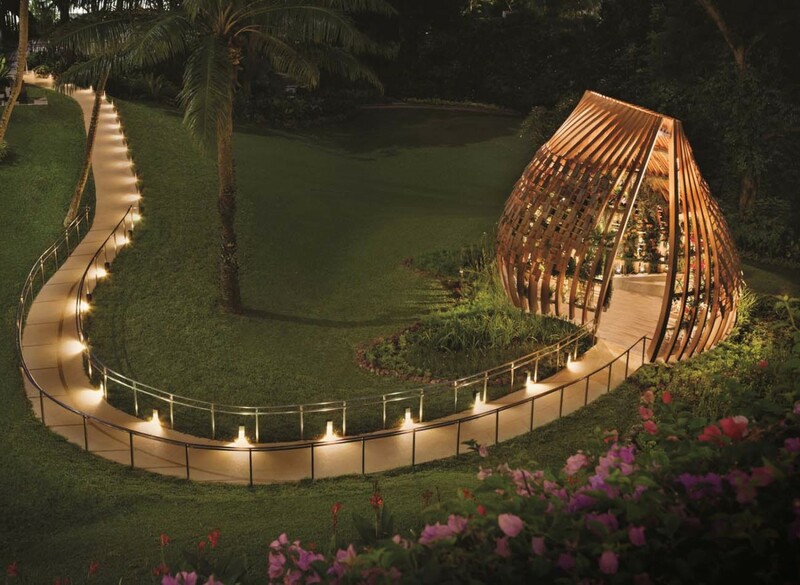 A 5-star rainforest experience awaits you in the heart of Sentosa Island with Capella Singapore. This resort stretches across 2 restored colonial bungalows dating back to the 1880s, framed by 30-acres of tranquil, lush greenery and the South China Sea. Immerse yourself in this tropical sanctuary with 112 fully equipped rooms, suites, and villas – some of which come with private jacuzzis! 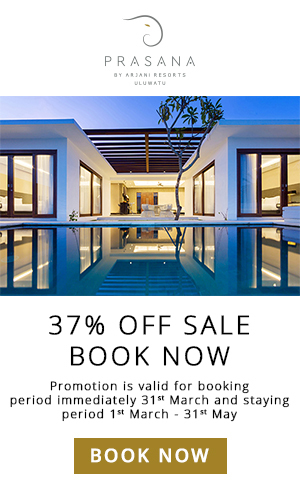 For the ultimate relaxation, be sure to book a massage at multi-award winning Auriga Spa. You can spend your day exploring beautiful Sentosa Island, or, for the thrill-seekers – Universal Studios Singapore is just a 15-minute walk away. Return to Chinese fine dining at Cassia or indulge in a Mediterranean-inspired feast at The Knolls for the ultimate dining experience at one of the best luxury hotels in Singapore. 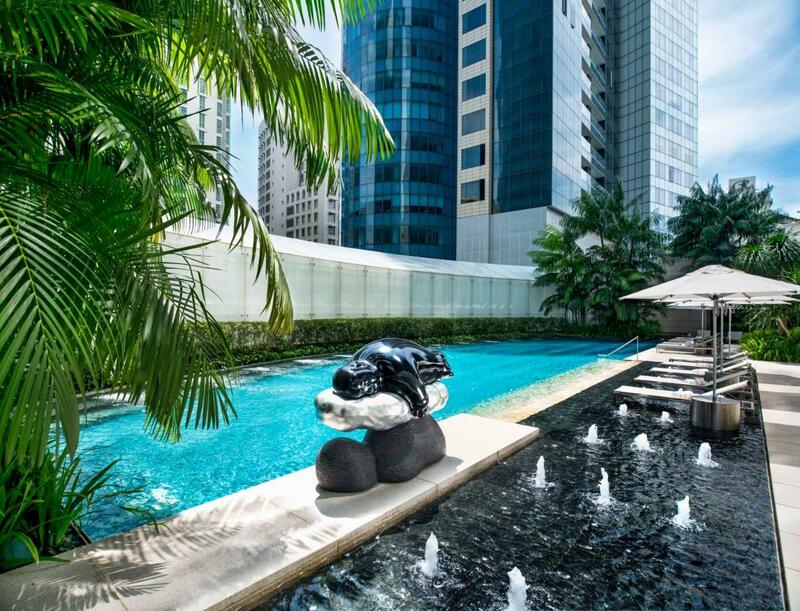 Prices for Capella Singapore, one of the best luxury hotels in Singapore, start at US$512 per night. Click for best available price. Renowned for their stylish and hip interiors, W Singapore – Sentosa Cove is an oasis of modern luxury for the sophisticated globetrotter. 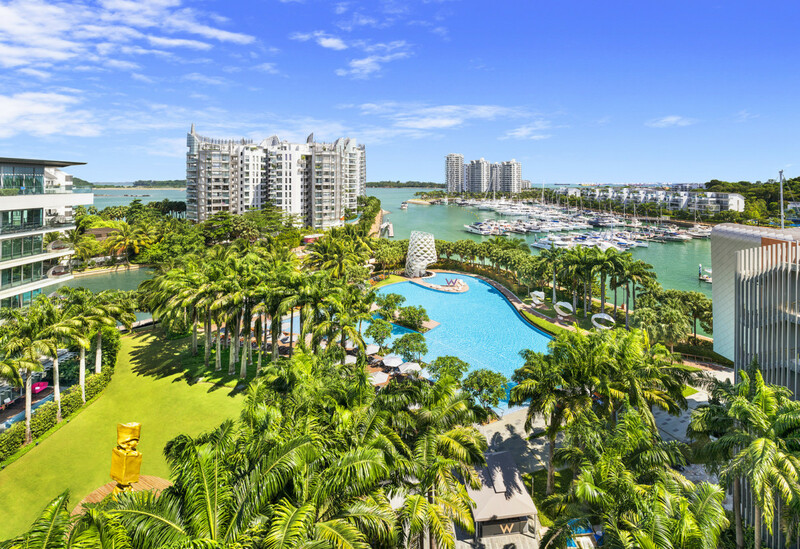 Set amidst the lively coastal setting of Sentosa, the hotel is characterised by vibrant design elements and quirky art pieces by artists like Andy Warhol! It offers 240 sea and marina facing rooms and suites, complete with top-notch amenities and the signature W bed. After a day spent exploring the bustling city, recharge with a late night dip in the WET® pool, one of Singapore’s largest outdoor resort pool areas! Alternatively, kick back with a cocktail at laidback WOOBAR. With an abundance of facilities, discover why W Singapore is the ultimate lifestyle destination for a glamorous island experience. 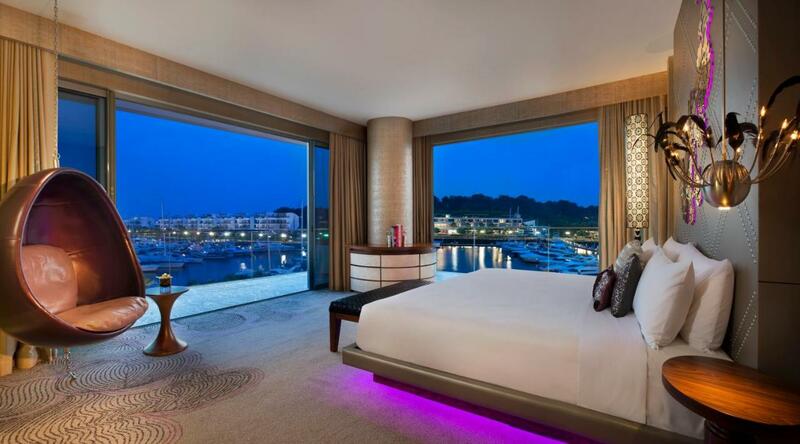 Prices for W Singapore – Sentosa Cove, one of the best luxury hotels in Singapore, start at US$281 per night. Click for best available price. 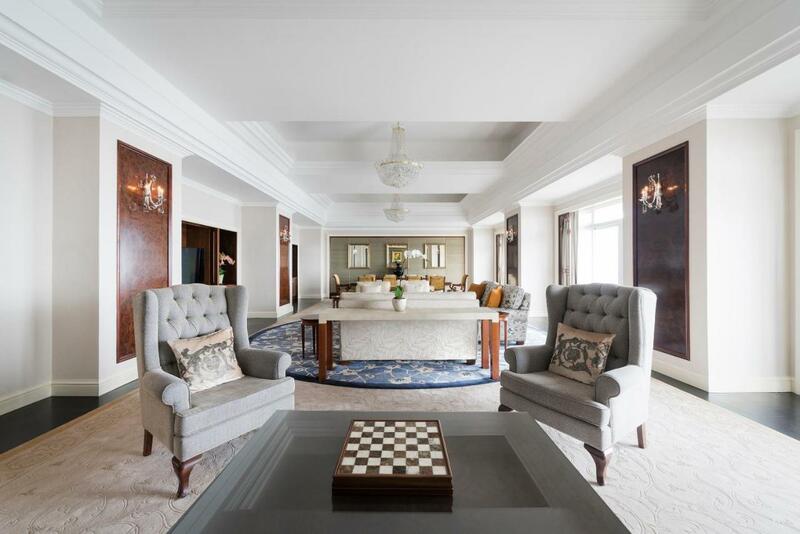 Revel in the utmost luxury city experience with The Ritz-Carlton Singapore, a cosmopolitan hotel that was voted 2017’s Top Hotel in Singapore by Travel & Leisure. 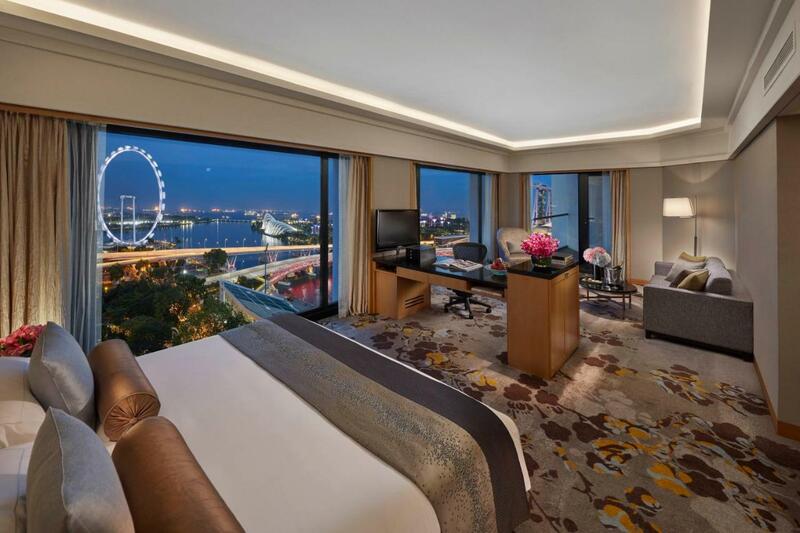 The 608 guest rooms and suites of this property boast panoramic views of the iconic Marina Bay, Singapore River or the Singapore residential skyline. You’re invited to immerse yourself in the ultimate romantic spa experience with The Ritz-Carlton Spa, the first La Mer partner spa in the Asia Pacific. Or, embark on a visual journey through the hotel’s 4,200-piece contemporary art collection! Take your pick from cultural experiences to a day of family fun, as the hotel is well placed in close proximity to attractions like The Esplanade or the ArtScience Museum. Prices for The Ritz Carlton Singapore, one of the best luxury hotels in Singapore, start at US$291 per night. Click for best available price. Looking for Singapore’s Best Restaurants, Cafes and Bars? 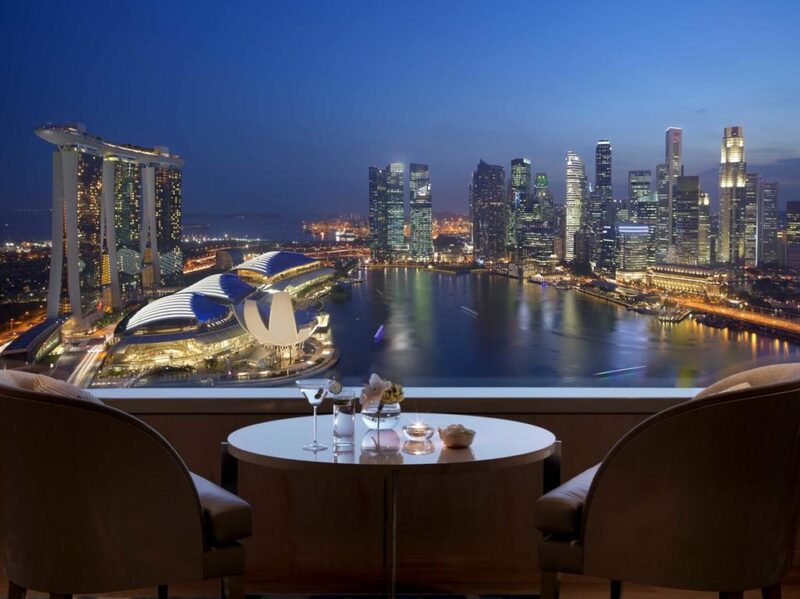 The Mandarin Oriental is one of Singapore’s best luxury hotels set in the business district of Marina Bay. Oriental motifs complement elegant furnishings and silk accents in their spacious rooms and suites, complete with floor-to-ceiling windows. An even better place to take the view in, however, is their famed outdoor pool that is lined with private cabanas and a remarkable view of the city skyline! Find yourself well-placed to explore vibrant attractions like the National Gallery and Orchard Road, or pay a visit to the quaint neighbourhood of Tiong Bahru that is filled with independent boutiques. Return to a tempting selection of 7 dining options, or unwind with a rejuvenating treatment at the spa. 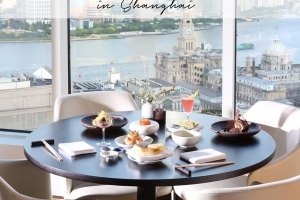 Prices for Mandarin Oriental Singapore, one of the best luxury hotels in Singapore, start at US$291 per night. Click for best available price. Nestled in the embassy district of Singapore is exquisite The St. Regis Singapore! Their sophisticated rooms and suites offer a mix of lush fabrics, original art pieces and elegant accents all around. A must-explore location in the vicinity is the UNESCO World Heritage Site of the Singapore Botanic Gardens. Embark on an epicurean journey with a wide variety of dining options here! Savour French cuisine at Brasserie Les Saveurs, a classic Italian experience at LaBrezza, or pamper yourself with innovative Cantonese cuisine at the award-winning Yan Ting! Astor Bar is also not to be missed, presenting over 200 premium whiskies and their world-renowned Bloody Mary cocktail. Furthermore, unwind in the exclusive Remède Spa, or be pampered by the signature 24-hour St. Regis Butler Service! 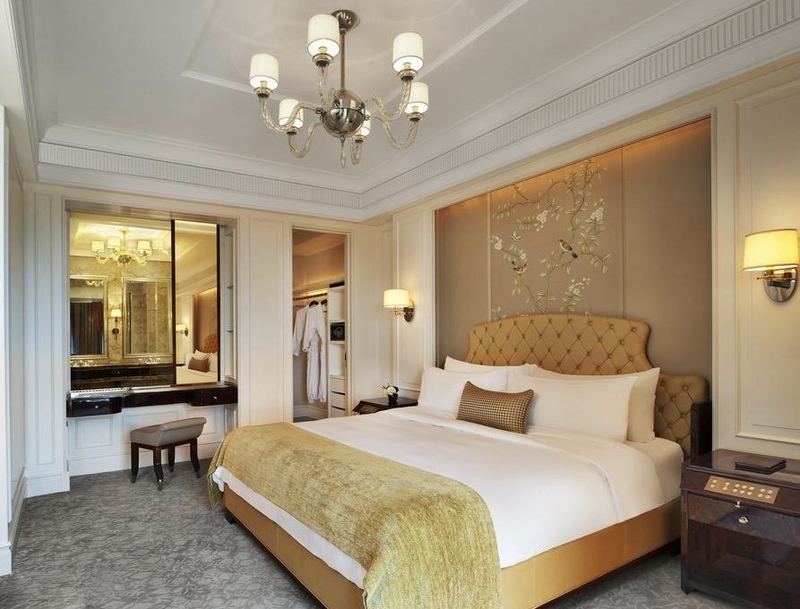 Prices for The St. Regis Singapore, one of the best luxury hotels in Singapore, start at US$281 per night. Click for best available price. 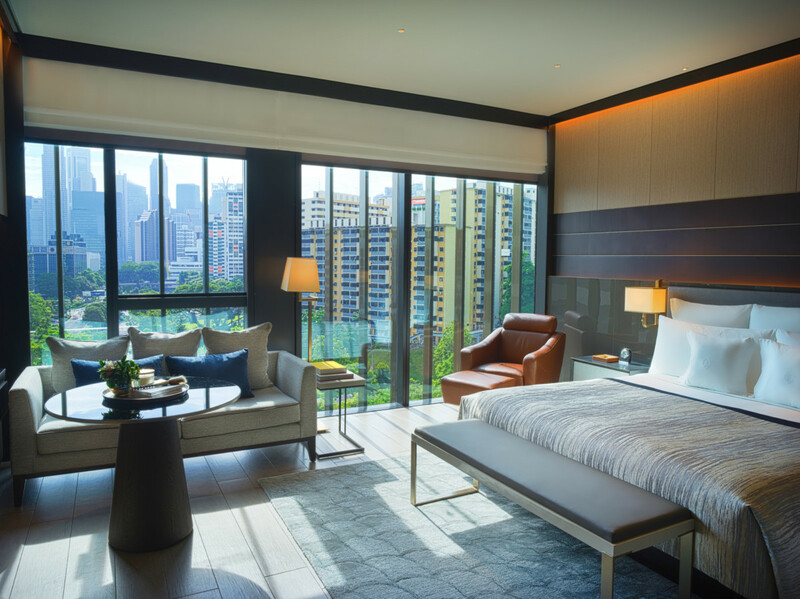 Situated along tranquil, tree-lined Orchard Boulevard, Four Seasons Singapore invites you to their 225 newly renovated rooms, including four Asian inspired themed suites! From families to business travellers, expect to bask in plush interiors and plenty of natural light via floor-to-ceiling windows. 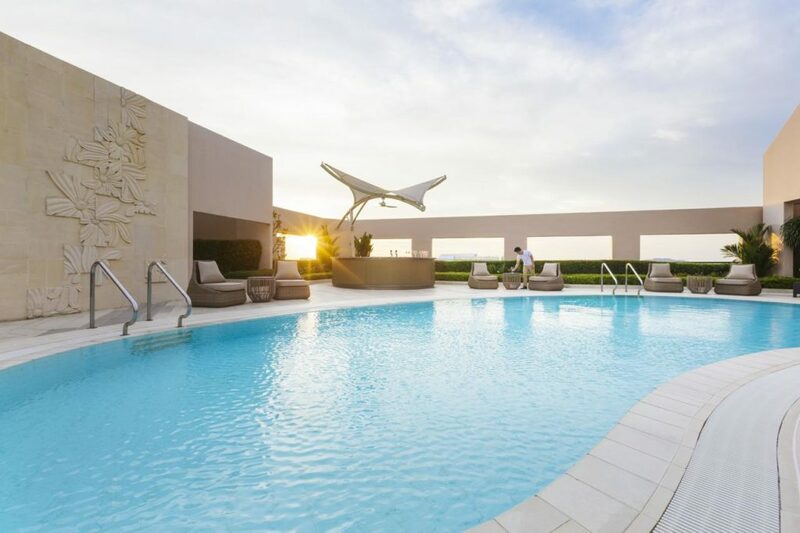 Spend your afternoon lounging by the rooftop pool on the 20th floor, which offers panoramic views of the city skyline. 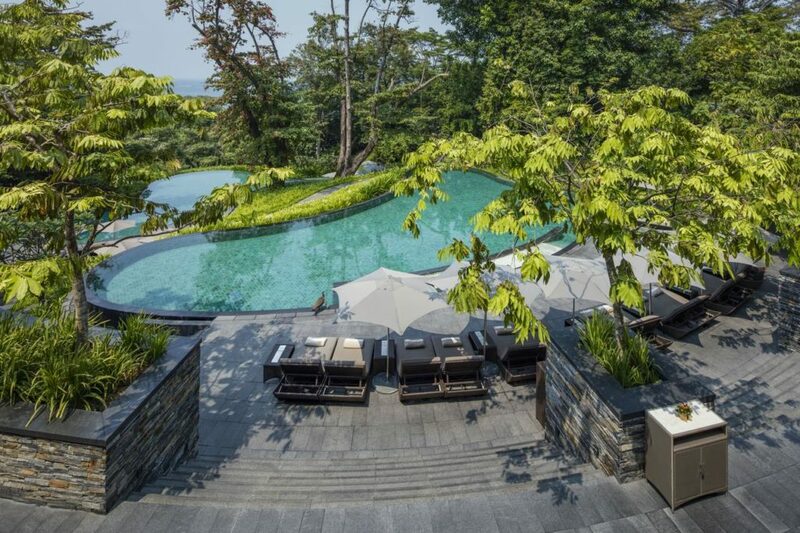 Unwind in the ultimate restorative experience at the Four Seasons Spa, or wine and dine in the range of dining options at the hotel including the one Michelin-starred Jiang-Nan Chun. Just steps from the city’s shopping and commercial heart, there is no lack of options here for both business and pleasure. 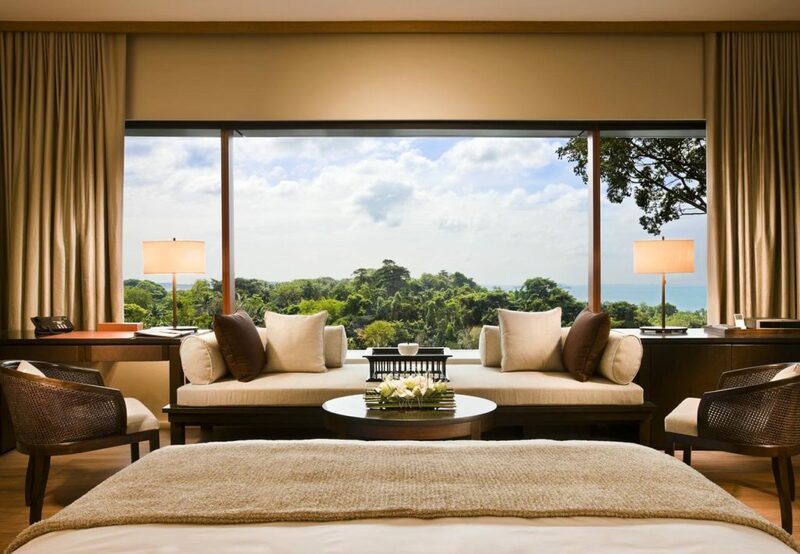 Prices for Four Seasons Singapore, one of the best luxury hotels in Singapore, start at US$256 per night. Click for best available price. Located in the sophisticated neighbourhood of River Valley, InterContinental Singapore Robertson Quay is perfect for both business and leisure travellers. Boasting 225 studios and suites, the rooms offer an array of views including the Singapore River and the vibrant city. Complemented with a stunning lap pool, 24-hour gym and the exclusive Club InterContinental lounge, take your time to indulge in an array of meaningful spaces. Be spoilt for choice when it comes to dining options. Indulge in a slice of Italy at the hotel’s signature restaurant, Publico Ristorante, or make yourself comfortable at Marcello, the hotel’s all-day eatery! Surrounded by some of Singapore’s Best Restaurants, eat your fill before winding down in your urban sanctuary, fully equipped with custom-made furnishings and luxury touches. Prices for InterContinental Singapore Robertson Quay, one of the best luxury hotels in Singapore, start at US$210 per night. Click for more details. Sophisticated luxury awaits you at JW Marriott Singapore South Beach, a 5-star accommodation located near Suntec City. Contemporary architecture meets restored heritage at this property, which brings together three heritage buildings and two new ones! 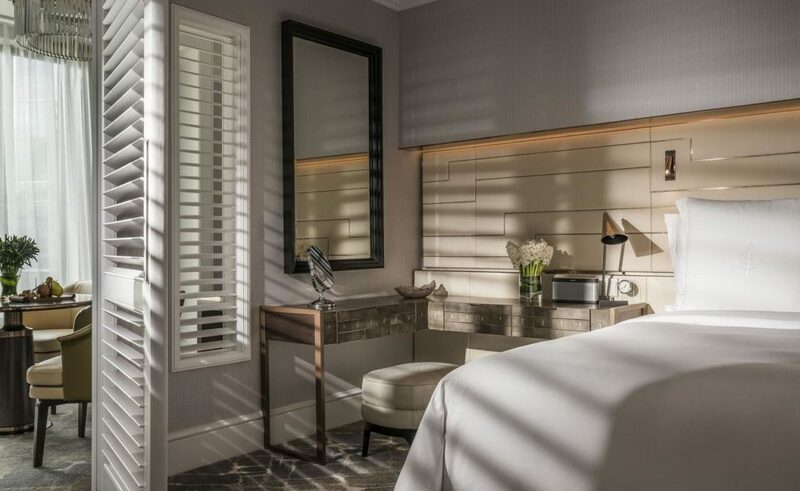 This Singapore luxury hotel offers 634 spacious rooms decked in artful decor and marble bathrooms, complete with impeccable city views. 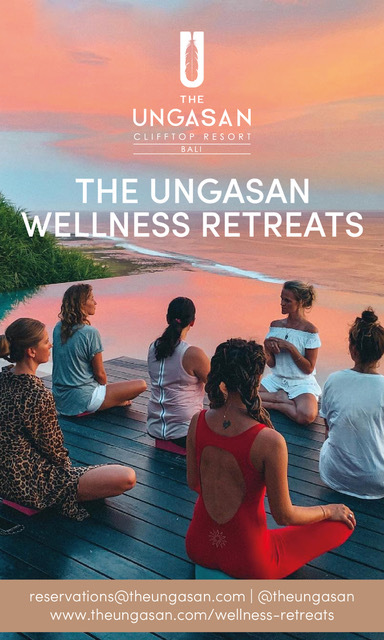 Discover a range of facilities here to nurture your every passion – a scenic infinity pool, indulgent spa treatments, or enriching cultural programmes! Satiate your appetite with 9 dining options, including the renowned Akira Back. The atmospheric NCO Club awaits you as well, housing 4 unique culinary concepts – Cool Cats, Madame Fan, Fish Pool and Stags’ Room. 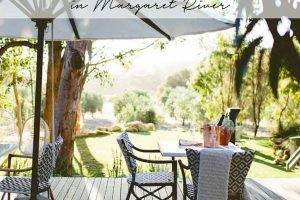 We recommend a night of live jazz and a sophisticated tipple at Cool Cats, or champagne and oysters at Fish Pool! Prices for JW Marriott Singapore, one of the best luxury hotels in Singapore, start at US$223 per night. Click for best available price. Want to speak to our experienced concierge to help guide you through your booking? 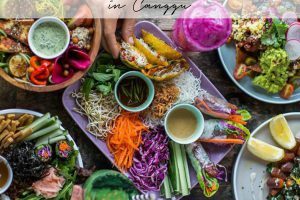 Complete your city experience with a gastronomic adventure across Singapore’s 40 best restaurants, cafes and bars! 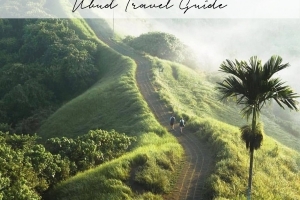 Our guide not only narrows down the most stunning venues in Singapore, but it also helps you to save up to S$1,200 as you explore the vibrant city. How it works – each venue offers an exclusive privilege when presenting your HUNGRY IN SINGAPORE unique code before ordering. Receive 1-for-1 main dishes, complimentary cocktails and desserts, up to 25% off your bill and many more unique privileges across Singapore’s best restaurants, hippest cafes and trendiest bars! Grab your copy now to explore the best restaurants in Singapore!